As of this Friday, 843 people have been killed in Juarez,Mexico. Yet the mayor of Juarez is not declaring that Juarez in no longer the most dangerous city. He claims they are fourth place in the country. How does that even make sense? What difference does it make? Death has become like second nature to the citizens of Juarez. No one is safe. It’s all a question of when and where. All it takes is that you are in the same restaurant as the intended victims and you will lose your life as well. More than 5,300 people have been slain in the Juarez area since the start of a war between the Sinaloa and Juarez drug cartels in 2008. Cartel leaders are fighting for the top position. Their expense? Anything and everywhere. So now that the mayor is saying that danger is no longer an issue is like spitting in the faces of the ones that lost innocent loved ones. No one has protected them. Not their policeman, not their mayors, and certainly not their government. Image will not clear over night. Juarez deserves this title. The government has collapsed for its citizens. 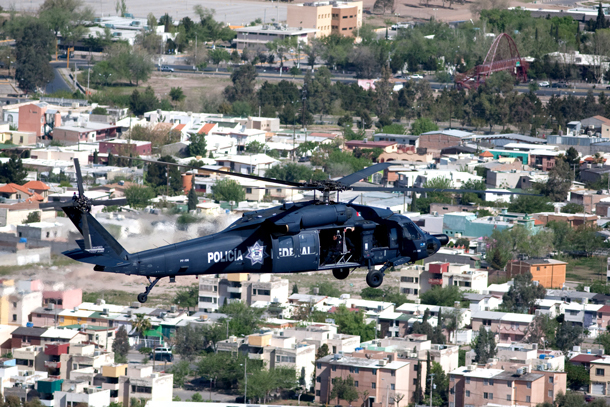 The Mexican government has deployed thousands of federal police and soldiers to Juarez but the violence has continued and most murders remain unsolved. There are many opinions on how to solve the problems in Juarez. Yet, if there is an answer it will be hard to find in Juarez that is so deep in corruption. This entry was posted in Blogging, News, Not good TV, Opinion, Tragedy and tagged Blogging, Juarez Mexico, News. Bookmark the permalink.